Okay, another try. 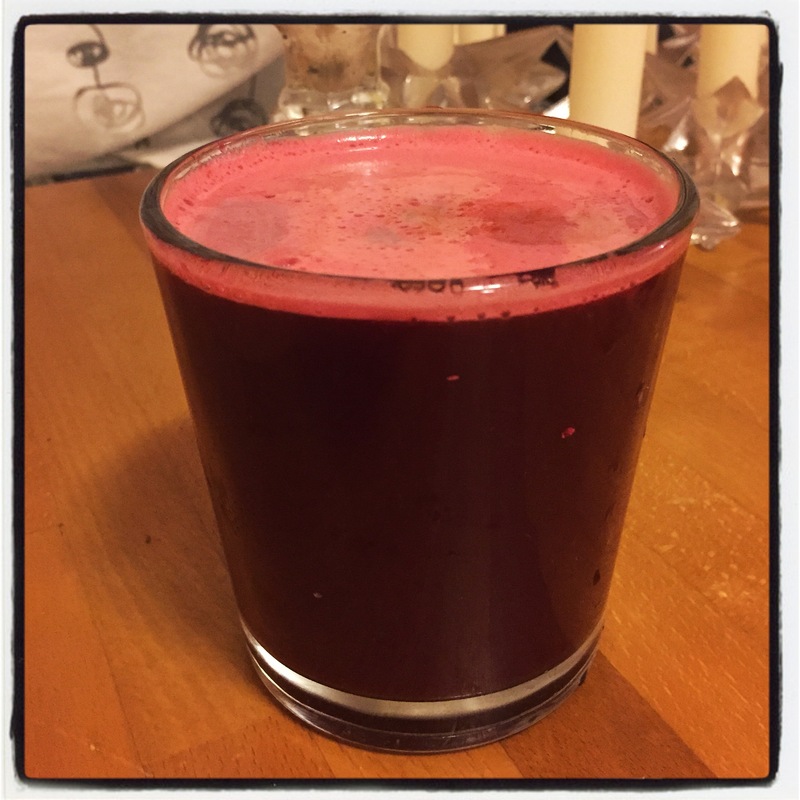 Tonight I made a juice with beets, romaine lettuce, radishes, lots of celery, apple, and carrots. There is no way I would have been able to drink this combo as a smoothie. But, it was really too sweet for me. I probably should have chosen between the apple, carrots and beets, not used all three. Or, it needed some cucumber or more lettuce, or something to water it down. Honestly, I don’t know how people drink straight carrot juice, or fruit juice. I’ve never been able too!! Well, I’m still experimenting. I don’t know!!! These were definitely a lot of nutrients I would not have gotten otherwise. But also a lot of waste, as I throw all the pulp away. 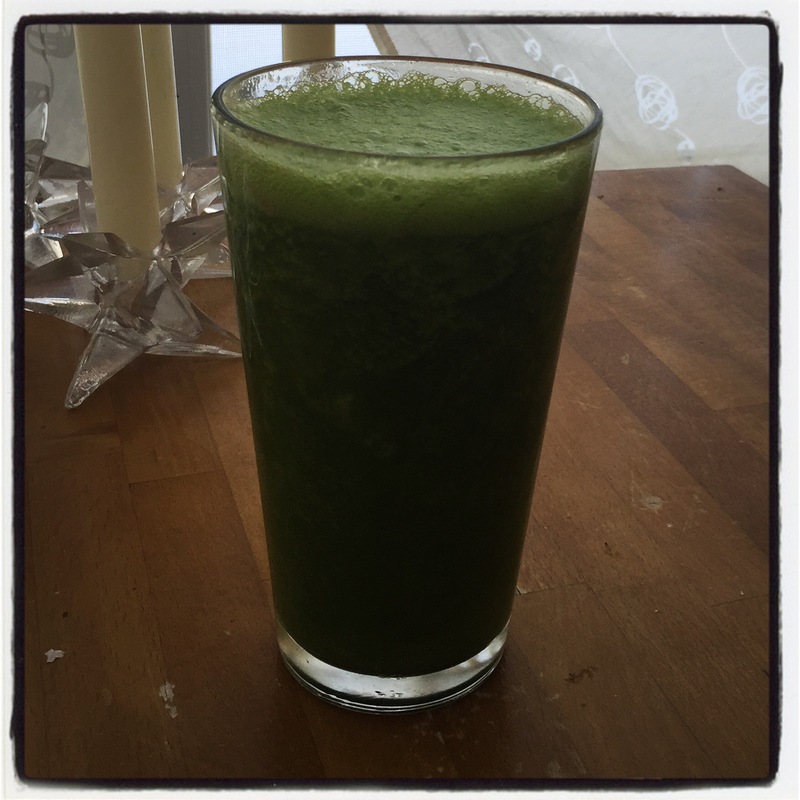 365 Challenge Day 229 – Juice? Maybe it’s an acquired taste, but it really was delicious! They were both very inspiring to eat healthier. What was inspiring with Fat, Sick, and Nearly Dead 2, was hearing the stories of people who turned their lives around, many of whom were able to go completely off of their medication by increasing their health, losing weight, and decreasing the crap they were putting into their bodies. There was one really inspiring story about a guy who in the first movie had said “I’m going to fat and happy” and seemed completely uninterested in changing his ways, he just wanted to eat what he wanted. But after the movie came out and he saw himself, and saw the movie, he did a complete turn around. When they went back to interview him in the second movie had was like a different person, full of energy, healthy and happy!! I don’t really agree with the idea of long term juice fasts. I don’t like throwing out all that fiber of the fruits and vegetables. And reducing calories that drastically for a long period of time can slow down your metabolism. I also think that’s a lot of sugar for the body to consume, and a lot of sugar that hits the blood stream all at once. But what does inspire me is the reminder of how good it is to have so much fresh food. There were stories of people who increased their health just by adding a glass a day of green juice, without doing the fast. It is true that by juicing you can get a lot more vitamins and nutrients into your system.